There’s really not much to say about this book – in fact, I’m not even sure why it exists. That’s not to say that the book is completely bad, though. 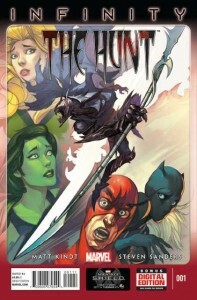 Infinity: The Hunt basically sets up a modern-day Contest of Champions among the different “schools” in the Marvel NOW! universe. Think of it as a less serious Hunger Games, with a lot more in the way of punchlines and rather tedious character introduction. The inclusion of the word “Infinity” raises questions as to what its role in the event is supposed to be. True, the invasion is played as a significant moment in the comic, but even so, this series seems to be more tangentially related – at best – than a tie-in of actual substance. Matt Kindt tries his best to write a cohesive story, and he does manage to inject some humor into it. Fans of Kid Omega might find his lines amusing. 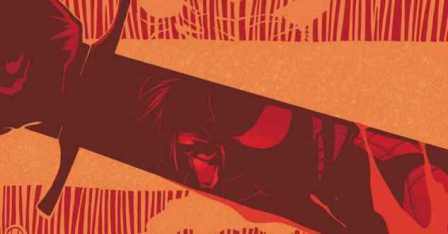 However, the entire point of the book remains questionable, especially in the wake of the fan-angering Avengers Arena series. 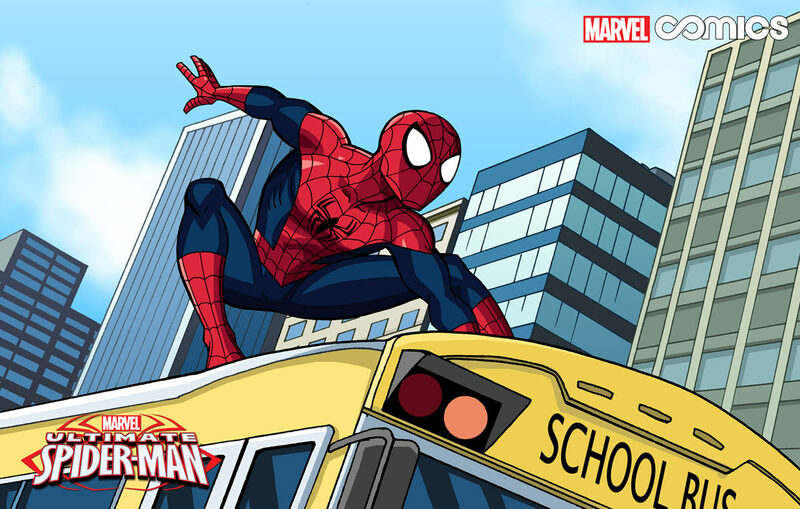 As for the art, Stephen Sanders’s characters are…okay, I guess? There’s emotion and a bit of expressiveness, and the redesigns are interesting, to say the least. Unfortunately, the process of introducing each character one by one (with commentary from Kid Omega, of course) coupled with the rather forced “invasion” of Thanos’s forces makes the book a bit hard to swallow as a whole. I wouldn’t call it a must-have, per se. If you like Wolverine, Hank Pym, or any of the Marvel young heroes, you might want to consider picking this up. Otherwise, stick to the main Infinity title and other tie-ins if you’re just following the event. Visit Comic Odyssey and get your copy of Infinity – The Hunt #1 now! An All-New Adventure for X-O Manowar this April!